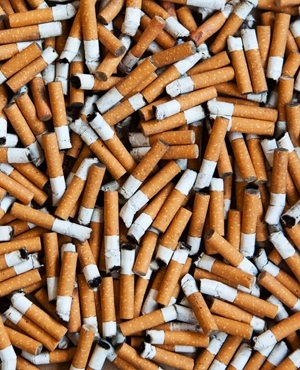 The Tobacco Institute of South Africa has told Fin24 creeping operational failures in the South African Revenue Service allowed an illicit cigarette brand to outsell its legit "competitors" in SA. Illicit cigarette brands are having an even easier time sneaking their way into retailers’ and wholesalers’ shelves than originally feared, according to a survey and data produced by Ipsos for Tisa. This segues from claims made to the Nugent Commission that there were instructions from the tax body's highest office to put investigations into the illicit tobacco trade on hold. The Ipsos report said Gold Leaf Tobacco’s RG brand was now the top selling brand in South Africa overall, "overtaking all legal brands". The Ipsos research says the brand sells for an average price of just R10, well below even the R17.85 owed to SARS on each pack sold. "Gold Leaf Tobacco Corporation (GLTC) now represents 73% of the market for illegal cigarettes. It is on track to become the biggest tobacco company by sales volume in the country, especially if there is another tax increase on legal cigarettes in February 2019," said the Ipsos report. The report said manufacturers of cigarettes selling below the minimum tax have expanded their distribution, while SARS has been promising to crack down on them. "Earlier this month, the Nugent Commission of Inquiry found that those who trade illicitly in commodities like tobacco operate with little constraint. The Ipsos research counts the cost of this failure of government," said the report. The market research firm invited Fin24 on a walkabout for its sample survey on Monday. The walkabout took place in Bellville, Cape Town and surveyed table top vendors and brick-and-mortar shopkeepers who sold cigarettes in the area. Most striking about the survey was the low cost at which illicit cigarettes were sold on the streets. Some illicit loose cigarettes were going for as little as 50 cents, with a pack sometimes going for as little at R5. During the walkabout, table top hawkers and shop owners were clearly seen selling illicit cigarette brands, even though some tried to conceal them.